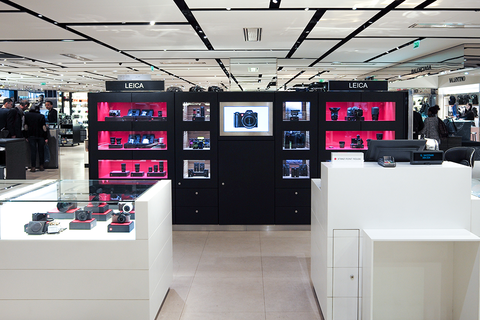 The Leica Store Paris Gallery Lafayette is the smallest store inside one of the biggest shops in the world, and considered by many to be the most beautiful one. 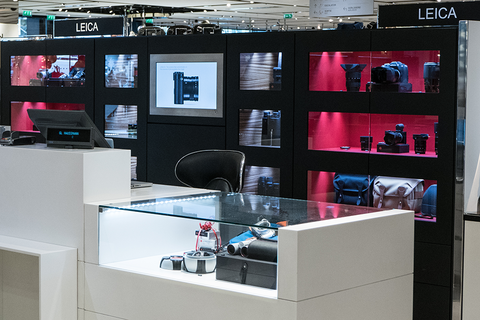 On 15 square metres, you'll be able to find all the new cameras from the Leica C to the S as well as a very large variety of Leica binoculars. Our knowledgeable and friendly staff is here to help you find the perfect product that will match your needs. In our monthly exhibitions, we'll be introducing the works of famous as well as aspiring photographers alike. 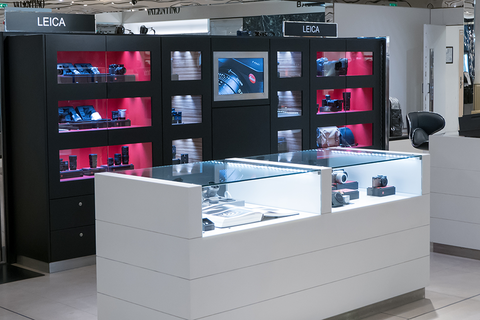 As a very touristic place, we are glad to welcome visitors of all nationalities and from around the world, sharing the same passion for Leica. 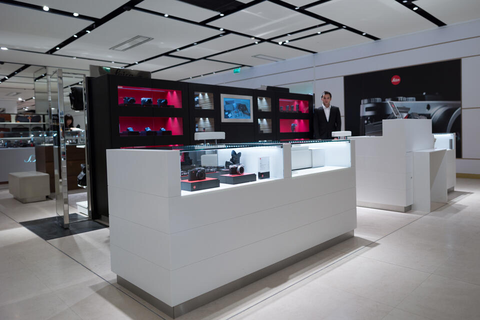 It is always a pleasure to talk about our brand, so feel free to come and visit us. Opposite our store, you will find the most famous opera house in the world. The Palais Garnier. The opera is a masterpiece of architecture and one of the many symbols of the beauty of Paris. As the most famous place in the world for artists, we are certain that a visit to Montmartre will be a great pleasure for every discerning photographer. With the view from Sacré Cœur, it has become the incarnation of romance and art. We invite you to walk in the footsteps of Van Gogh, Dali, Modgliani and many others and take your first photos with your new Leica in this romantic place. Sure, you can use your Leica inside the museum and take some photos of La Joconde, but there are many others intersting spots around the museum. You’ll probably find a good place to savor « macarons », while resting on a bench in the garden.